Hello, all! 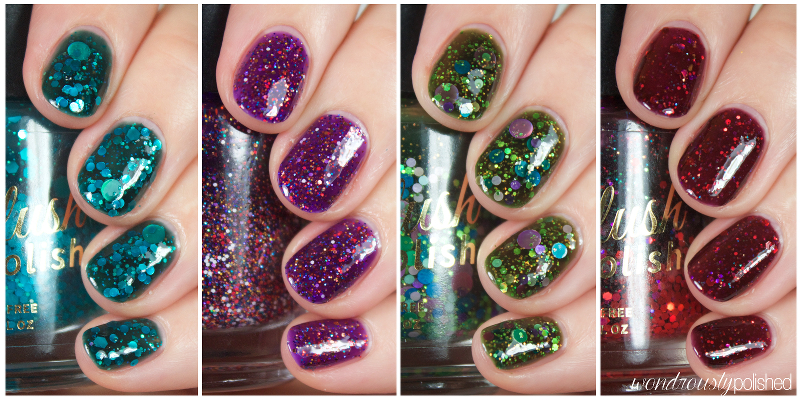 As I mentioned in my Nue Collection review, I've got another Delush Polish review to share with you today! This one is of the 2014 holiday collection called Holidaze Collection...I love puns :) I'm really loving these shades and how the collection looks as a whole together. I think there's something for everyone in this set of polishes and definitely worth adding to your collection. Hello, all! 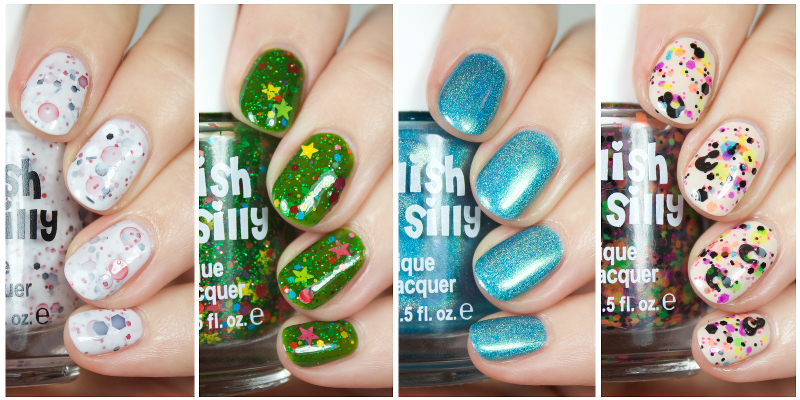 I have two different posts to share with you today, both from Delush Polish (the other is the Holidaze collection, found here)! The first duo I'm showing you is from Delush's collaboration with Nue Magazine! The Nue Collection is inspired by the hottest trends of the season, embracing classic bold shades, metallic touches, and, not to be forgotten, glitter! The shades I have to share with you are some classic and bold metallic shades so let's take a look! Black Friday Roundup - Sales Galore! Free US & Canada shipping on orders over $25. International shipping takes 25% off orders under $100. Free Shipping on orders over $100. Up to 40% off polishes. Check here for sales! In honor of my exciting personal life news, I figured I better swatch some stunning polishes and products and share them with you all today! 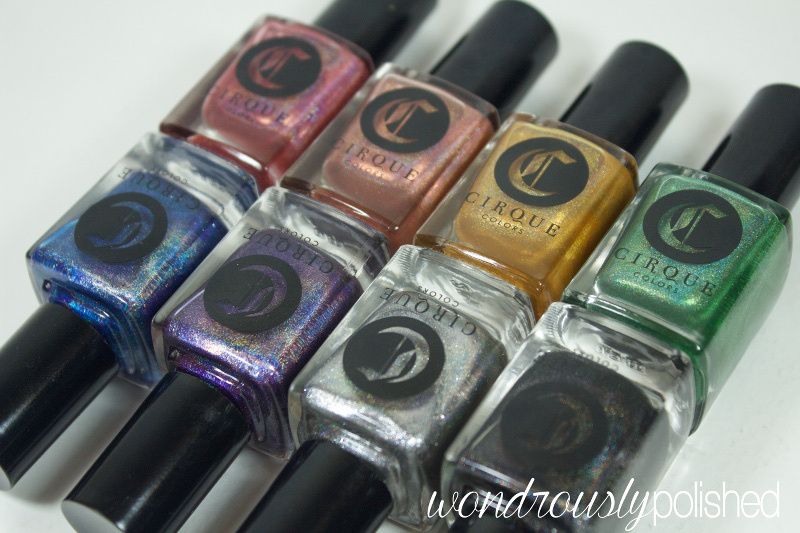 Cirque Colors has curated a few of their favorite holographic polishes to create the ultimate Holographic Gift Set! 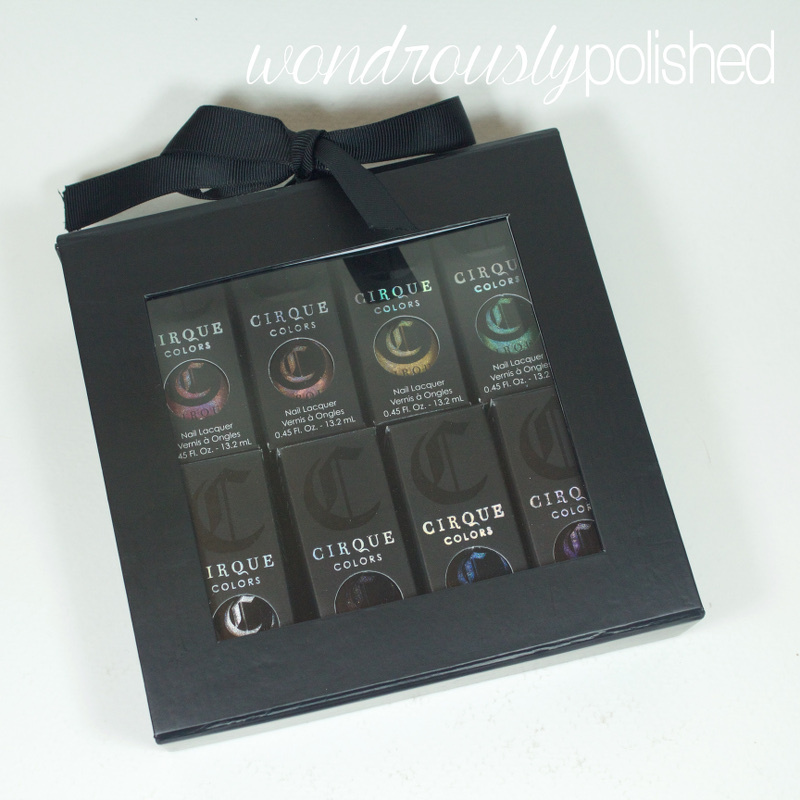 This set comes in a nice windowed box and would be perfect for the polish lover in your life. 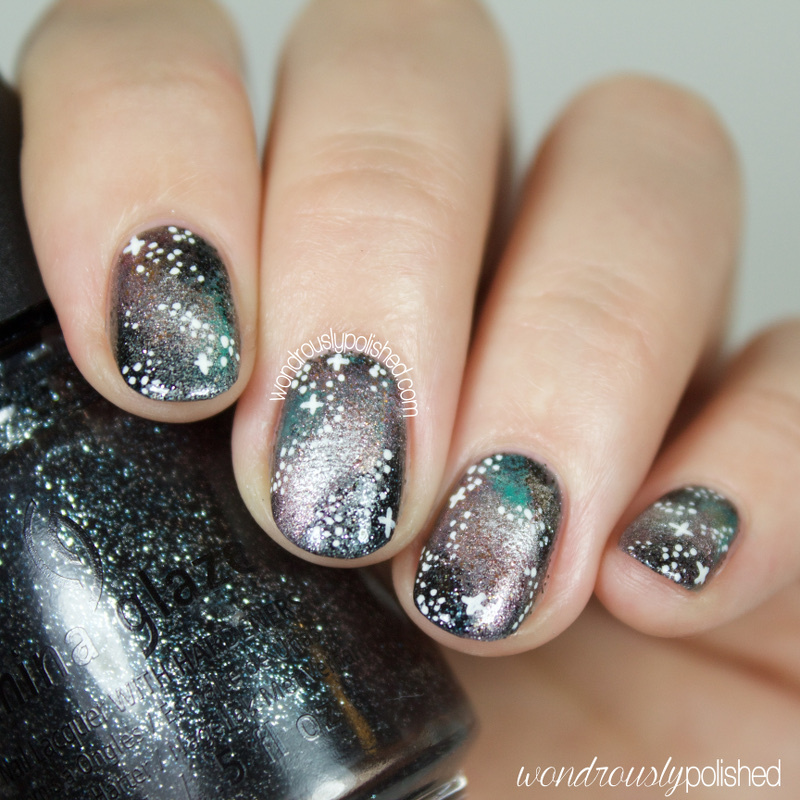 These polishes usually sell for $13/bottle, but in the set, it works out to just $10/bottle. Are you ready to drool over these? ALIQUID Lacquer - Anniversary Trio: Swatches, Review & Link to Giveaway/Contests! Hello, all! 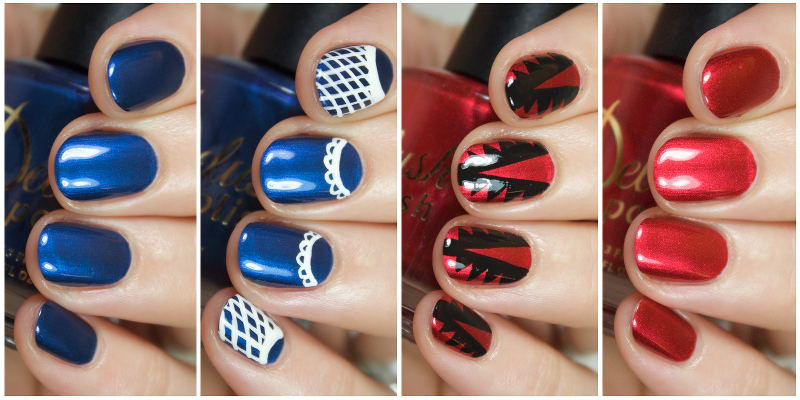 Today I've got swatches of the ALIQUID Lacquer First Anniversary trio of polishes! These were created by Alison in honor of all the hard work and improvements that she's made in her first year of having her shop open. Anniversaries are great times to reflect on resolutions of the past and update them for future ventures, so this collection is just that! These polishes were made to reflect some future goals for this indie brand. How cool is that?? I have 4 of the 27 shades to be released tonight to share with you so I'll start with 2 from the Christmas collection, then one of the holos, and finally that leopard spot glitter! Hello, all! Hope your week is going well! I'm finally (and excitedly!) able to get back into the swing of things and post with the talented ladies of the Beauty Buffs! This week's theme is Metallic! I'm not usually one to wear metallics, but I like challenges like this because it makes me think outside the box! In the end, I really like how this turned out! Hello, all! 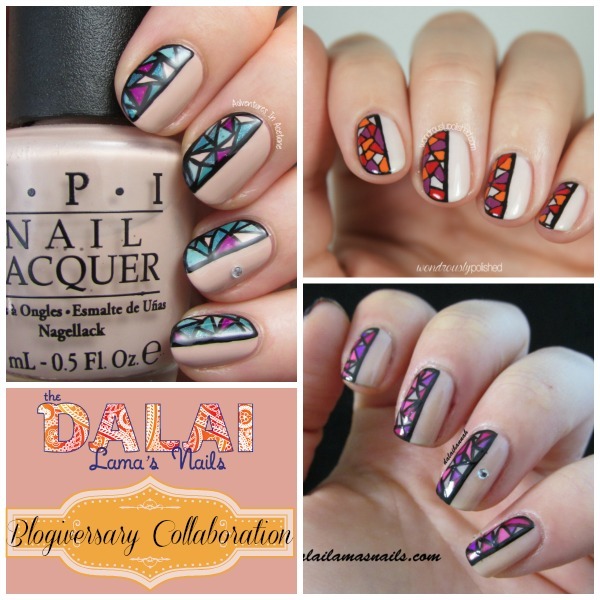 Today I've got a guest post to share with you over on The Dalai Lama's Nails! 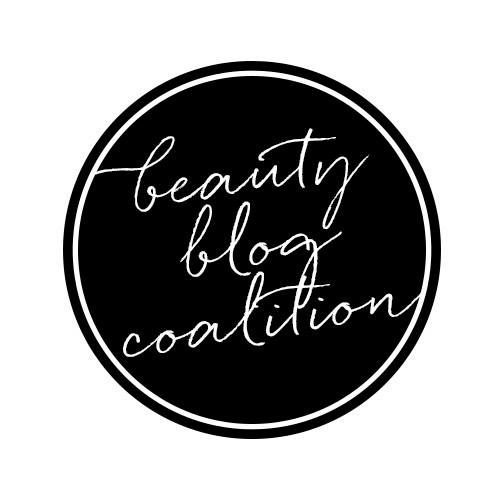 Hannah is celebrating 3 years of blogging all month long and she's asked a few ladies to guest post for her to help celebrate. 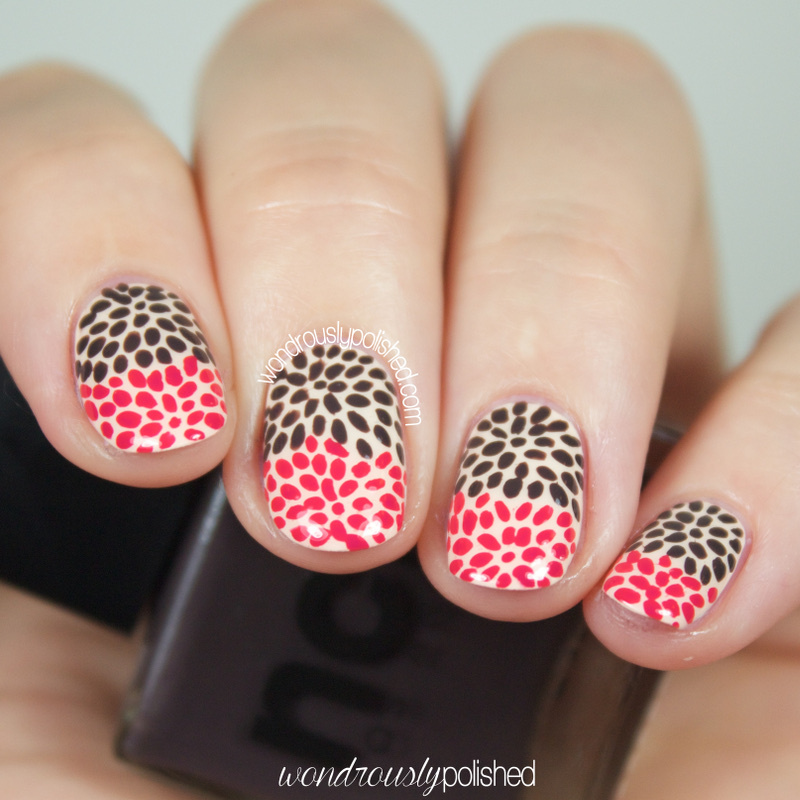 I ended up recreating a fabulous design that Hannah did a year back...and then something extra special happened! 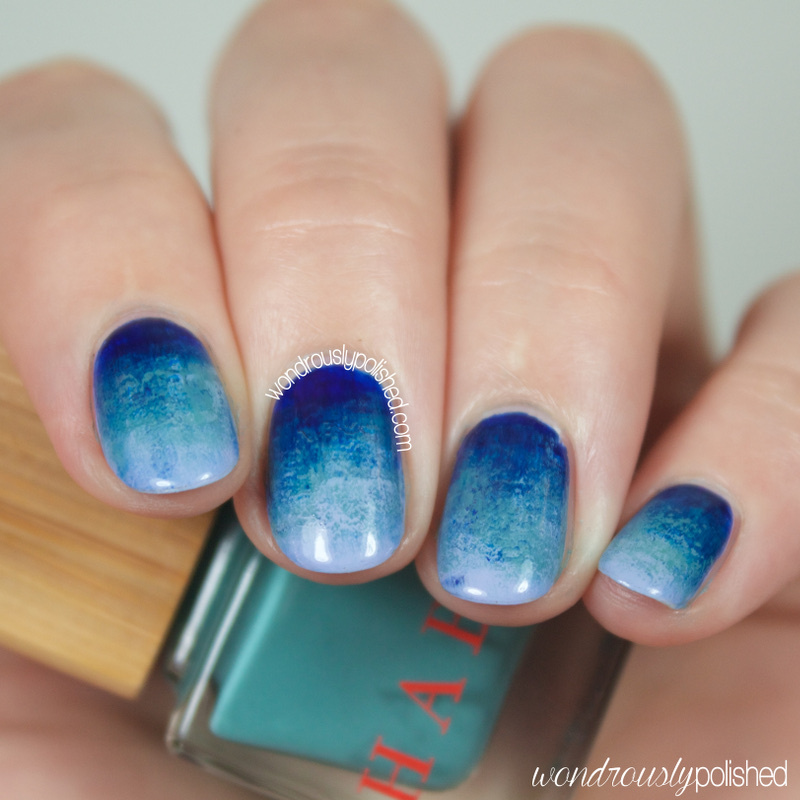 Another one of my favorite bloggers (it may or may not be Adventures in Acetone ;) ) also recreated the same design so it became an awesome collaborative post between all 3 of us! Head over the the Dalai Lama's Nails to read our full post! Hello all! Happy Veteran's Day (and a big thank you to those who are/have served our country)! I have polishes from one of my all time favorite brands to share with you today, Habit Cosmetics! My first experience with Habit was over a year ago with a few of Aja's original shades and she has since released a dozen or so more beautiful polishes that will make anyone drool. The three I have today are apart of this year's Winter collection which is inspired by the ocean...so naturally it is absolutely stunning. For those who don't know, Habit polishes are all natural and use Myrrh extract to help naturally strengthen the nail. It is vegan friendly, cruelty free, gluten free and 5-free and in my opinion they have some of the most unique, chic and beautiful bottles around. Read through to see what I think of these and let me know your favorites! Hello, all! I hope where ever in the world you are, that your Monday is going smoothly! It's actually my birthday today! I'm the ripe old age of 24 and I'm still not sure what I'm doing with my life! Yikes! 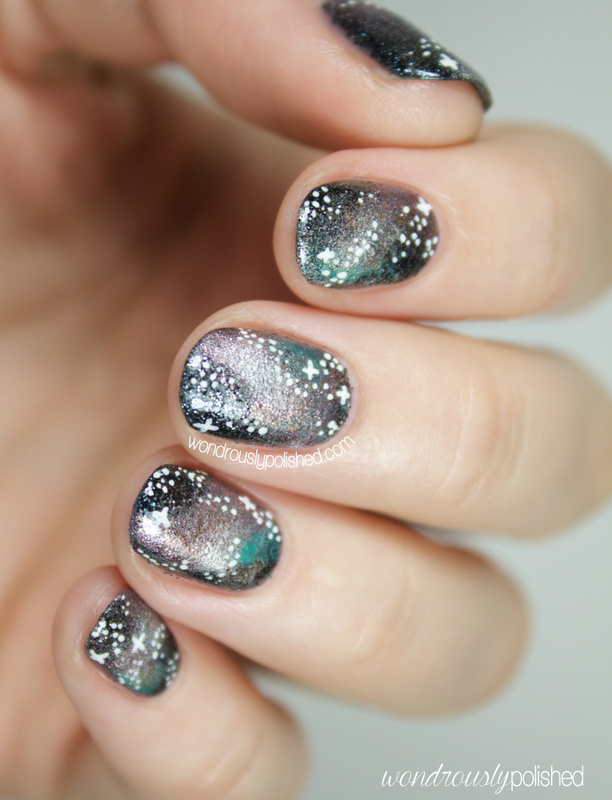 Today I have some swatches and a review of the ncLA Runway collection to share with you all! I have been in love with ncLA for so long and I'm so excited to share this collection with you today! For those who don't know, ncLA is a 5-free nail polish company and they hail from good ole Los Angeles, California (only about an hour from where I live!). They also create some fantastic nail wraps in an unlimited number of designs for those who might not enjoy creating the nail art as much as wearing it (and there's nothing wrong with that!). I love the mix of high fashion and sophistication that ncLA exudes, while still keeping true to the laid back and trendy feel of Southern California. Hello, all! Wow, it has been awhile since I've blogged and I've been missing it so much. I've been crazy busy with work and personal life and I am in serious need of this weekend to get stuff taken care of get back on track. 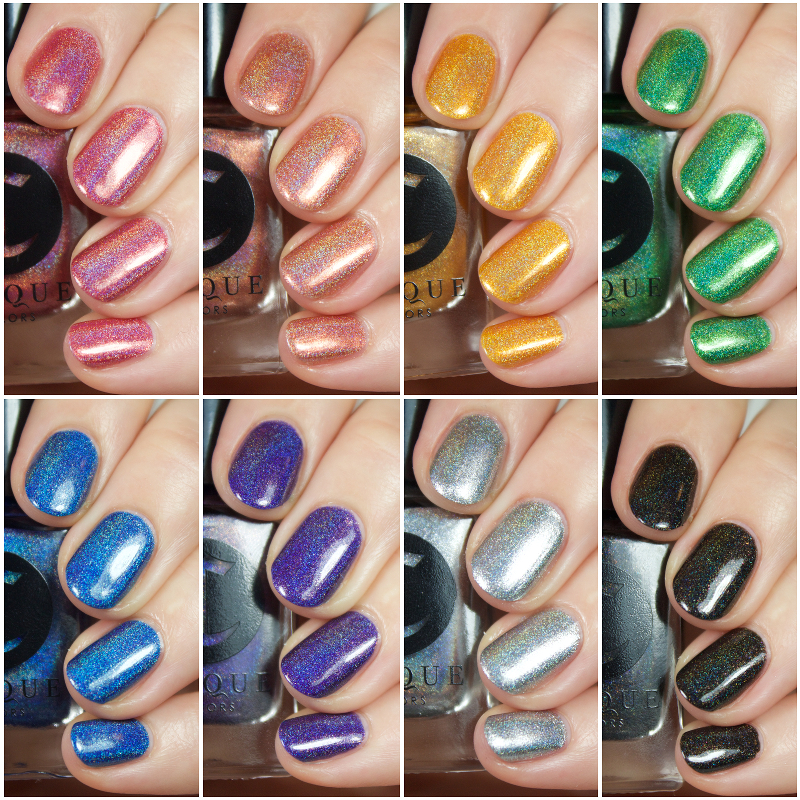 Today I've got swatches of 4 polishes from the Delush Scream Supreme collection to get back into my groove! All the polishes in this collection are inspired by the TV Series American Horror Story, and while I've only watched the first and second season, I can totally appreciate each and every one of these shades and their inspiration. 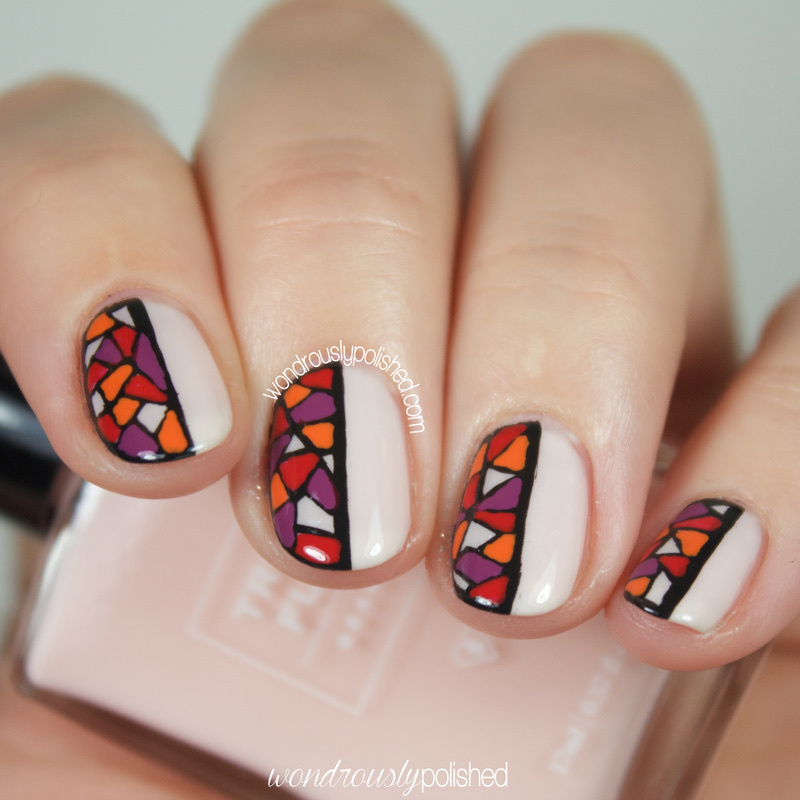 I love how fun the polishes are and I think they're great for fall and beyond. 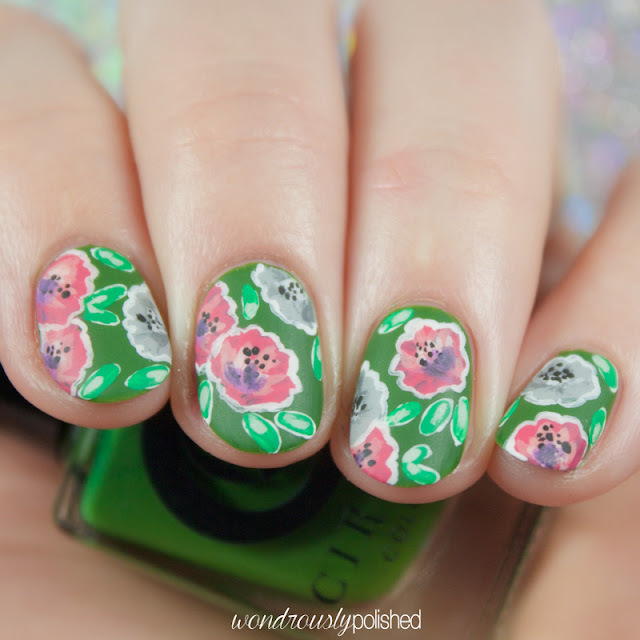 These polishes are stunning on their own, but I also couldn't resist doing a bit of nail art with each polish :) Let's read through and see more swatch goodness!